Executive dashboards can break down silos to provide real-time, cross-functional visibility across an organization. You can’t fix what you can’t find. If you’re an executive who’s serious about business agility, take a hard look at the information you have readily available when you need to make critical decisions. Is it easy to find? Complete? Real-time? Unfiltered by human preference or error? Consistent in presentation or format? If the answer to any of the above is no, you may be missing out on a powerful tool that enables better decisions, faster — based on real-time insights into resources, status, and progress against critical KPIs. We’re talking about data dashboards — and if you don’t have one (or three), you could be at a significant competitive disadvantage. Executive dashboards provide decision makers with an accessible, real-time view of how critical parts of their organization are performing. Metaphorically speaking, if a project is running low on oil, an executive dashboard will bring the looming problem to the driver’s attention before the engine gets destroyed. Accessing a data dashboard can save a considerable amount of time – and frustration – by eliminating the need to log into multiple systems across an organization to gather information. Outdated data is a mission killer. Executives need a real-time view into the work happening across business, with the right level of visibility into how the business is performing against goals. Once the executive has this cross-company visibility, he make adjustments as needed. For example, a sales director doesn’t have to spend time interpreting complex data from a CRM system to see how the team is tracking against quarterly goals. Instead, she can quickly redirect team members to focus on areas that are lagging. And since the data updates are automated, executive dashboards can help eliminate manual or human data-input errors. Executive dashboards can also help transform a company’s culture by ingraining transparency at all levels of an organization. When team members can see how they’re tracking to KPIs in real-time, they can be rewarded--or held accountable. And automating information removes the ability to cherry-pick data to shows results in the best light – an all-too-common blind spot for executives. Strategic dashboards are best suited for improving organizational alignment. 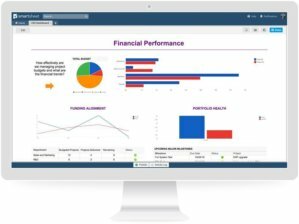 A strategic dashboard focused on finance, for example, can include an easy-to-interpret financial summary from across the company, updated in real time; an IT dashboard might offer a real-time roll-up view of work from across the IT team, while also drilling down into details such individual project status, budget spend and team performance. 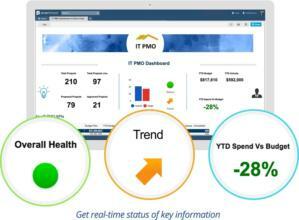 Operational dashboards provide critical insight into how a company’s processes, teams, and individuals are performing. Whether you are focused on the task level or on overarching company objectives, an operational dashboard’s real-time insight fosters immediate and informed decision making, targeted knowledge sharing, and deeper collaboration. 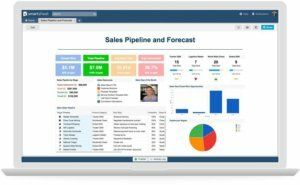 Examples of popular operational dashboards include those designed for HR, program management, and sales pipeline. Analytics dashboards are especially useful for consolidating data insights. 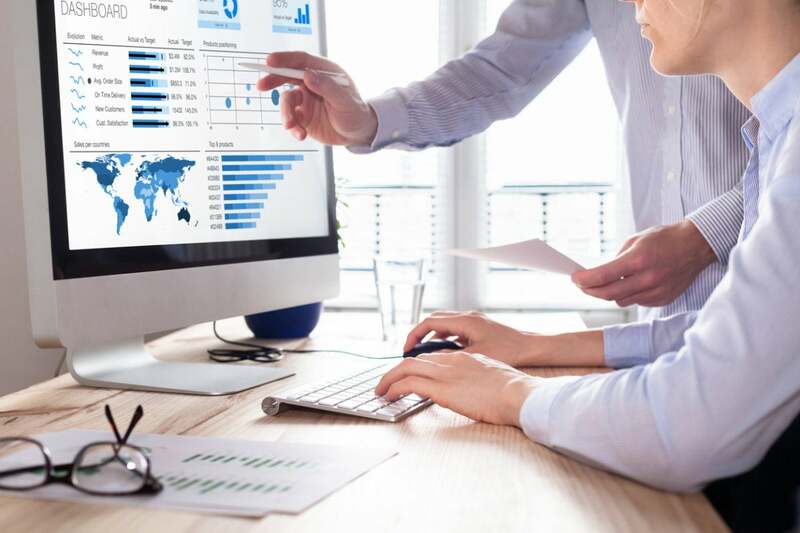 If your goal is enabling continuous improvement from the front lines to the C-suite, analytical dashboards can analyze historical trends, delivering rich insight by drilling down into the most important performance metrics and KPIs. Analytics dashboards provide visual representations of essential information such as revenue growth and profit margins. As such, they are usually more complex and intricate than their strategic and operational counterparts. That’s because they collect data over customized time periods and present it in an easy-to-understand format that supports thoroughly informed decision making. Intrigued? Read about other ways to improve executive decision making here.